Lufthansa changed their livery recently. It was not universally appreciated and I can’t say I disagree. It really is rather dull. I hadn’t even bothered to keep an eye on whether it was on a jet coming to Seattle. 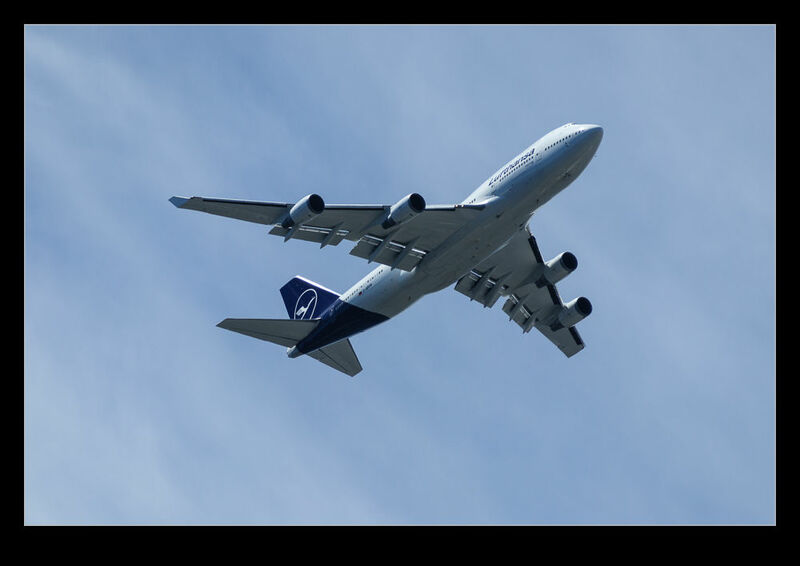 Instead, while out in Federal Way, I saw a 747 heading my way so decided to take a couple of shots. Turns out it was the new colors (or lack thereof). Soon it will be a common sight as they repaint the fleet but this was my first encounter. This entry was posted in aircraft, civil, Pacific Northwest, photo and tagged 747-400, aircraft, airliner, airplane, Boeing, civil, Federal Way, jet, livery, Lufthansa, new, overflight, photo, scheme, washington. Bookmark the permalink.